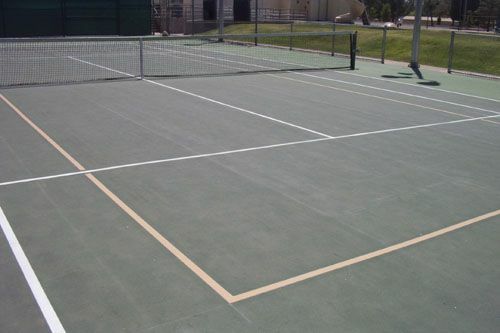 Kiwanis Tennis Center adds new lines on tennis courts! 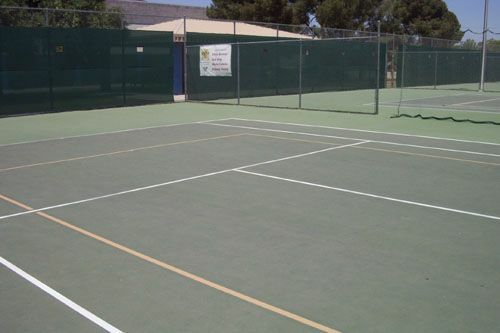 Junior players at Kiwanis Tennis Center have their own court to play on! Now these young players can be taught and find success in the game in a manner that ‘fits’ their needs. This means that the chances of retaining them in the game are very high. In addition, the opportunity to take part in relevant and fun competition will ensure that all young players can play and progress. The evidence for them comes from the large number of tennis nations who introduce, retain and develop young players in tennis – through Mini Tennis or Short Tennis. Many of the world’s best players began their careers playing a mini version of the game, but just as importantly, many recreational players have stayed in the game because they learned to play in a way that was fun and relevant to them. For more information on junior tennis lesson programs contact Chris Brewer, Tennis Director, at (480) 350-5721 or email chris_brewer@tempe.gov.